Are you getting “Unhandled Exception Caught” error message while playing or running Call Of Duty: Black Ops II game on your Windows system? If YES then don’t worry, this troubleshooting guide will help you to get rid of Call Of Duty: Black Ops II errors with ease. Lots of gamers reported that they are not able to play the game properly on their Windows 10 PC, as after running the game it gives the “Error during initialization-Unhandled exception caught” error message. This error becomes very popular as it appearing on every version of Windows system, Not only Windows 10 users but along with them; Windows 8.1, Windows 8, and Windows 7 users are also reported about this error message. But not need to worry about this as there are few working solutions are available to fix “Error during initialization-Unhandled exception caught” error message. First of all, it is recommended to make sure that your computer’s visual c libraries are properly installed and updated. Find the redistributables for Visual C. Only the x86 version is needed here. Also Read: [Fixed] Resident Evil 7 Biohazard Game Crashes, Errors & More! After it, double sure that DX9 libraries are not corrupt and properly installed. Double click and run DXSETUP.exe file. Run steam, right click on call of duty: black ops II and go to the properties. This will take few seconds to complete let the process finish, sometime it will take more time as some missing files might get downloaded. This fix is recommended for Windows 10 users after this is done right click on the t6mp.exe file (generally located at C:\Steam\steamapps\common\Call of Duty Black Ops II\t6mp.exe) click on the compatibility tab and very the below-given options. Try to run and play this program in compatibility mode for windows 8 or 7. If one compatibility mode is not working then try another. Also, try to play this game as an administrator mode. Go to your Steam library and find Call of Duty Black Ops 2. After finding, right click on it and go to the Properties. Click on the Local Files Tab and from there remove Application Name: iw6mp64_ship.exe. Now you need to verify the cache just described in the FIX 3. Navigate to the C:\Program Files\Steam\steamapps\common\Call of Duty Black Ops II\players folder. Above given three files are related to the three game modes. Delete the file related to the game mode that is giving you problems. After this, reboot the game, and the game will revert to default settings. 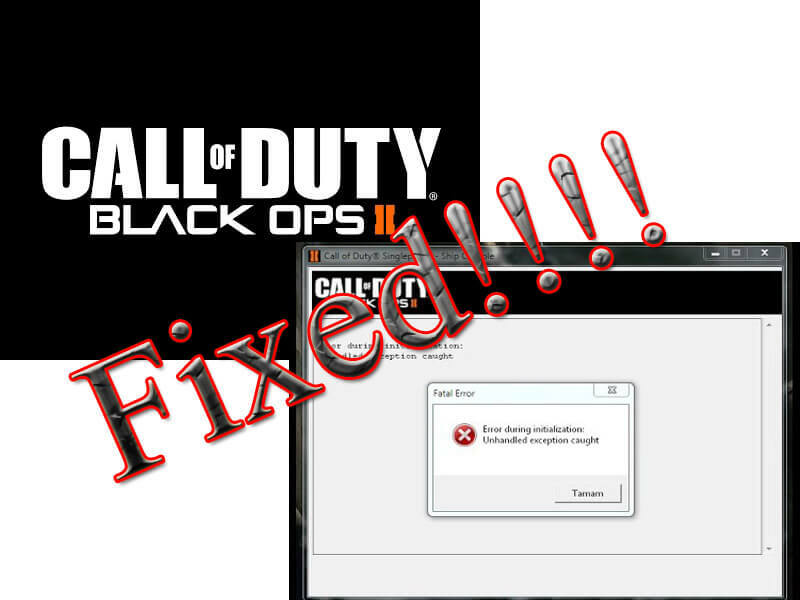 If you are running Windows 10 and getting error messages after every update then you need to apply these fixes after every Windows 10 updates in order to make Black Ops II work again. That’s all, it is hoped that you are enjoying Black Ops II after applying above given fixes. All the described solutions are very effective and helpful to you, and that you can easily fix Call of Duty Black Ops on Windows system.